One of the hot topics in the physician lounge this week was the provision in the recently-signed SGR bill that ends the use of Social Security numbers on Medicare cards. Medicare is authorized to spend $320 million over four years to make the change. The first $50 million is in the 2016 budget. Other interesting facts in the article: more than 4,500 people enroll in Medicare every day; total enrollment is projected at 74 million by 2025; and the push to end use of the SSN in healthcare has been going on for more than a decade. Other than the number being “randomly generated,” there aren’t many specifics about how patients will be enumerated moving forward. Based on how providers have been assigned UPINs and now NPI numbers, it’s not likely to be quick. Additionally, vendors will have to update systems to handle the new numbers. Another hot topic was the recent CMS report that half of the professionals eligible for the PQRS program didn’t participate in 2013 and are therefore subject to penalties this year. More than 98 percent of those being penalized didn’t even try to participate. In my book when half the candidates don’t even try, that makes a statement that either they’re not interested or have other priorities. Unfortunately it has fallen on deaf ears as the move to new payment models continues. Very few industries have the “pay-for-quality” construct like we now have in healthcare. I recently had to deal with a legal matter involving a law firm that was not exactly with the program. Too bad they weren’t on a pay-for-performance plan because they’d likely be looking for a new line of work. 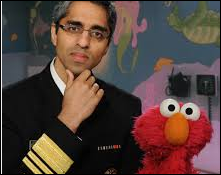 JAMA online offers a nice profile of our new Surgeon General, Vivek Murthy. It feels a little odd to have people in my generation filling major roles. At 37 years old, however, he is not the youngest to hold the post – he mentioned to the interviewer that the first two appointees (by Ulysses S. Grant and Rutherford B. Hayes) were younger. Like Murthy, I remember first hearing about the Surgeon General when C. Everett Koop held the post. Seeing him on TV was probably my first view of public health. Murthy is a fan of social media and digital platforms, and I have to say I’m somewhat jealous of his public service announcement with Elmo. If Sesame Street is ever looking for an average family physician, I hope they look me up. The AMA continues to nauseate me with their congratulatory focus on the SGR bill. AMA President Robert Wah cites “Five ways health care will look different in the post-SGR era.” Number four is that health outcomes will be improved and he names the idea of Medicare payments for care management of chronic disease patients as the reason. The devil is in the details – our practice investigated using the new Chronic Care Management codes that went into effect in January. The fact that the patient has to consent and agree to pay a 20 percent coinsurance is a huge barrier. Patients are reluctant to put their nickel down on something that feels unproven, especially if they are on a fixed income. Additionally, it’s first-come, first-served, so if other specialists charge it before the PCP does, they win. I got a chuckle while reading Mr. H’s news feature mentioning a new referral management software vendor named Fibroblast. 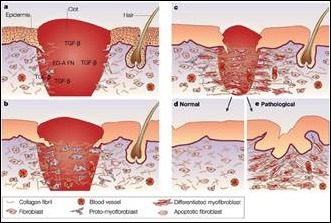 For those of you who may not have had to sit in the dark through dozens of hours of histology slides on carousels in medical school, a fibroblast is a connective tissue cell. It also does a lot in wound healing. If there is anything that the completely dysfunctional healthcare referral process needs, it’s something to help heal it. Good luck to Fibroblast in their work. From Eager Reader: “Re: Dr. Jayne, I enjoyed your fashion commentary from HIMSS, especially since I couldn’t be there this year. What do you think of this article about people who wear the same thing every day?” I have to admit, I wear a modified “same thing every day” wardrobe myself. It’s kind of like Garanimals for adults, only without the matching labels that allowed even the most fashion-challenged to put together a workable outfit. When I was a kid, as long as you had the lion-tagged pants with the lion-tagged shirt, you were good to go. 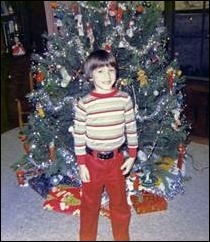 I’m pretty sure my brother had the outfit above, but I remember him wearing it with a wide white belt. Although the article cited Steve Jobs, Mark Zuckerberg, and Albert Einstein as devotees of simple dressing, there might be another famous fan in the wings. The parent company of Garanimals is now owned by Berkshire Hathaway. I’m going to start the Warren Buffett style watch in the morning. What’s your favorite work uniform? Email me. Add John Halamka to the list of leaders who hew to a simple daily uniform. I can’t link to his blog post where he discussed it (curse you blocking software!) but I remember him discussing it about 2-3 years back.